Recent political critiques and appropriations of Emmanuel Levinas’ work demonstrate the need to fundamentally re-evaluate the meaning and status of his philosophy. Both the Marxist critiques (often apropos Lacan) and ‘third wave’ applications interpret Levinas’ singular and unique relation to others—a bond which prohibits even the slightest trace of historical, hermeneutic, or political context—as the greatest obstacle to a Levinasian politics. From this standpoint, Levinas offers little more than a hyperbolic ethics that, at best, ignores, and, at worst, provides philosophical cover for, the political status quo (often defined by capitalism, imperialism, and Eurocentrism). 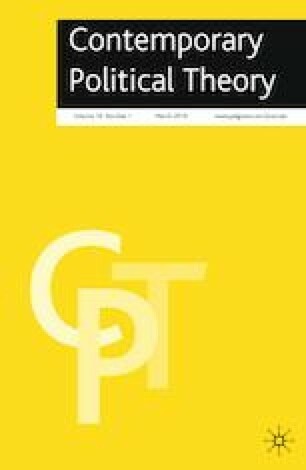 To counter this established link between Levinas’ philosophy and his potential for political thought, this article reexamines the significance of the decontextualized social relation. I argue that such interpretations misapprehend the intended analytical depth of Levinas’ thought, which, in turn, misconstrue the relationship between Levinas and more traditional social ontologies. As a consequence, Levinas’ valuable normative import for political theory is obscured. By shifting our perspective, we can understand Levinas as articulating a philosophy of political utopianism well-suited to the challenges we face in our present conjuncture.